Colors: Walnut Lengths: 9 panel 16'-9" Heights: 8'-0"
With the myriad of activities hosted by the church throughout the week, they often find themselves lacking in storage space. By arranging a Screenflex church room divider in larger rooms, they are able to section off an area for storage. 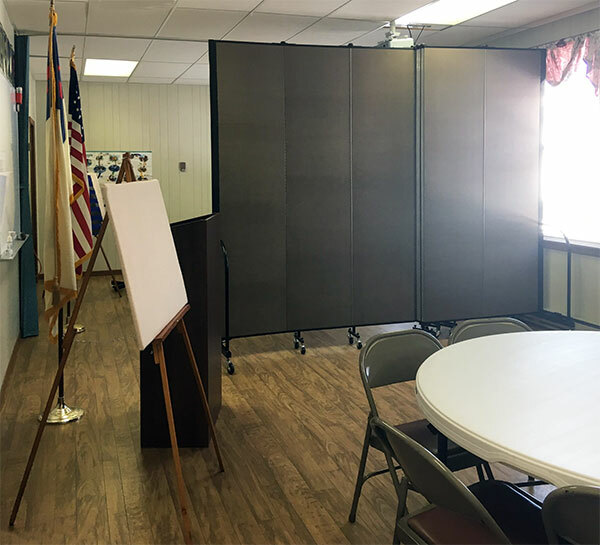 The temporary walls are also used to divide areas throughout the church into smaller meeting areas for Bible studies, youth group breakout sessions, and Celebrate Recovery classes.